Co-author Harry N. Seymour, Ph.D.briefly introduces the DELV. 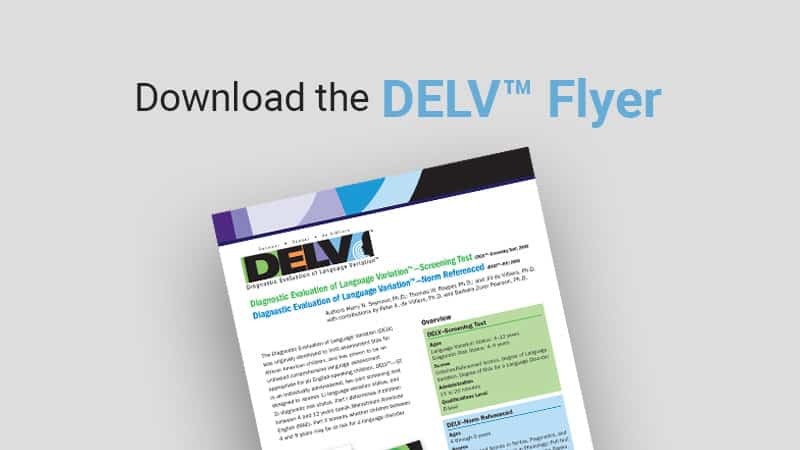 The DELV™ — Screening Test is an individually administered, two part screening test designed to distinguish variations due to normal developmental language changes or to regional and cultural patterns of language difference from true markers of language disorder or delay. Part I, Language Variation Status, distinguishes children age 4-12 who speak Mainstream American English (MAE) from those who are using a variation. Part II, Diagnostic Risk Status distinguishes children age 4-9 who are developing language normally from those who are at risk for a language disorder. 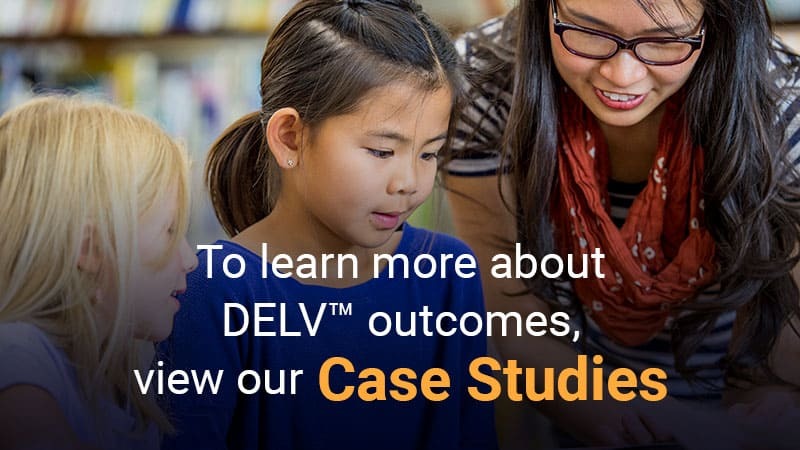 The DELV™ — Norm-Reference is a norm-referenced diagnostic test designed to identify speech and language disorders/delays in children age 4-12 who speak all varieties of English. The DELV addresses four domains: Syntax, Pragmatics, Semantics, and Phonology. Both DELV assessments help educators limit assessment bias for speakers of non-Mainstream varieties of English. Authors Harry N. Seymour, Ph.D.; Thomas W. Roeper, Ph.D.; and Jill de Villiers, Ph.D. with contributions by Peter A. de Villiers, Ph.D. and Barbara Zurer Pearson, Ph.D.
– Harry N. Seymour, Ph.D.